After Amazon's efforts to capture the e-commerce market in China did not meet with much success, the company started planning on entering India during the early part of this decade. At the planning stage, the Seattle-based company's founder Jeff Bezos insisted that the company should not repeat the mistakes it had made in China. 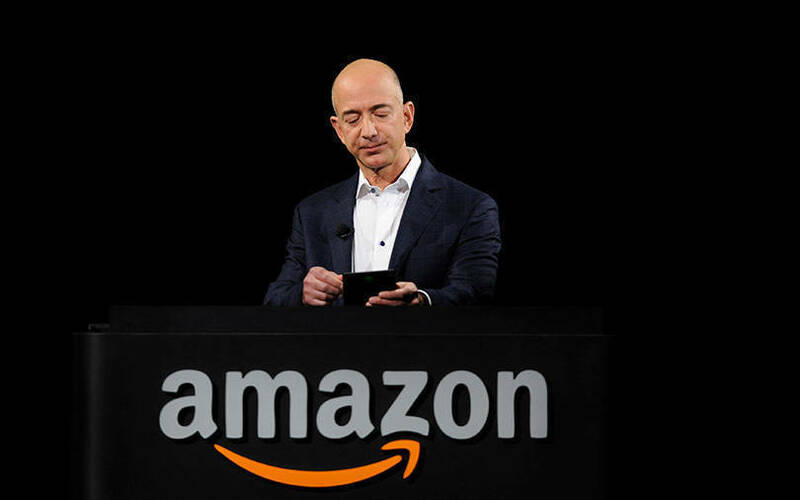 Bezos has famously said multiple times that failures and innovations are inseparable twins. "We are not going to make the same mistakes we made in China; instead, we should have all new failures in India," Bezos told the company executives. This story was retold on Tuesday by Amazon's vice-president for consumer business in North America, Doug Herrington, who himself had a couple of not-so-successful stints at startups before he joined Amazon 13 years ago. Herrington was speaking at a fireside chat with Amazon India country manager Amit Agarwal at its diversity and inclusion summit called AmazeWIT (women in technology) in Bengaluru. "The mandate what Bezos meant was that we should innovate with or from our failures in India," Herrington said, talking about the culture of innovation at the company. Agarwal, who had joined Amazon almost two decades ago, said that his first two initiatives at the company failed. He first joined Amazon Auctions team, which was meant to compete with the largest auction platform eBay, and later entered ZShop, which was the first platform where Amazon enabled third-party sellers to sell by leveraging the e-commerce firm’s customer base and traffic. However, Agarwal said that the learnings helped the company launch in India with a marketplace model. Today, third-party sellers account for more than half of Amazon's revenue in the US. Herrington said this testified to the fact that the company tended to act stubborn in relaunching good ideas despite early failures. He added that Amazon never did many pilots as they tend to be half-hearted work and the company would never know the reason for the product failure: Whether it went down because of half-hearted execution or due to not being useful to the customer. Decentralised ideation with one person not having a veto to a new idea was the key to innovation, Herrington said. "There is an institutional bias towards no and ideas get killed. So even when one person says yes to an idea, the project gets a green light," he said, adding that diversity in the form of race, gender and socio-economic backgrounds help bring in better ideas to the company. To a question whether Amazon thinks its own new product could be cannibalising its existing product, Herrington said, "If it is a good product, it would happen irrespective of whether we do it or not. It also shows that the new product we envisioned is already better than your existing product."